Leaders amplify strengths. Managers reduce → weaknesses. 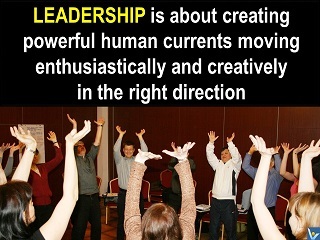 Leadership is not a position, it is change-creating action. Leaders establish a purpose, define the strategic direction and convey how it supports the fundamental purpose of the organization. Leaders also set → stretch goals aimed at achieving the desired → business results. 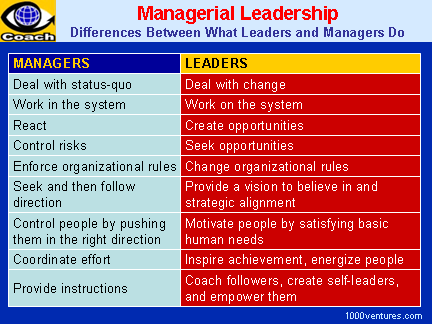 To maximize your long-term success you should strive to be both a manager and a leader and to synergize their functions.